Whenever wort gets too cold, you wind up with long lag times and increased opportunities for bacteria to infect your beer. Whenever it gets too hot, off-flavors can form. 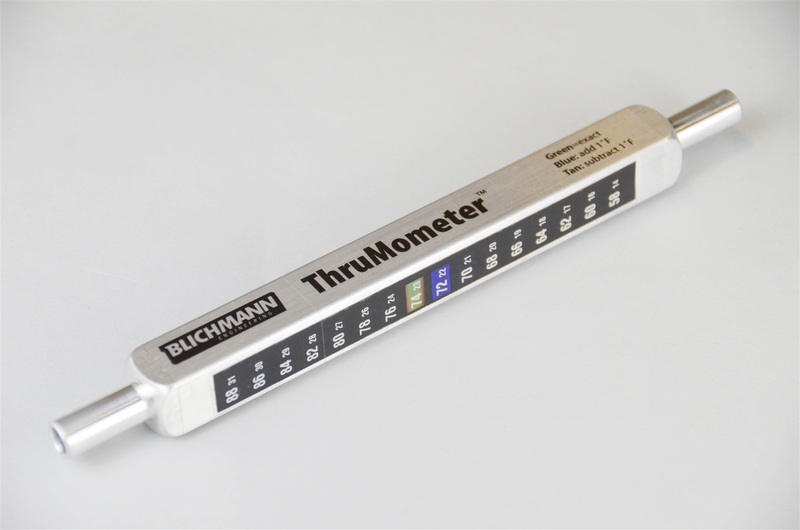 Blichmann Engineering lets you get it just right, with the ThruMometer™. temperature your specific yeast culture requires, with no more guesswork! ends are machined to 0.005" precision and finely finished to allow a 3/8" ID hose to snugly and securely fit over the barb. ability to dial in your desired temperature to within 1°F! The ThruMometer™ never needs calibration and is built for a lifetime of use, with heat-treated, corrosion-resistant aluminum. job done, which is good for the environment and your wallet!